So it's like this. One more award ...... and I say keep coming. 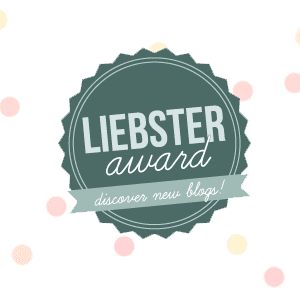 The kind-hearted lady who blogs at My Food treasures passed on a Liebster award. What a way to start New Year ...... so happy me. 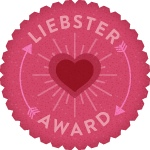 This reminds me of an early Liebster award I have recieved, which I have kept to myself. Back then I just started the blog and another big hearted lady Priya Satheesh did the same. It was the beginning and I was not sure whom to pass it. So better late than never...... Thanks a ton dears for the award. 1. What is it about you that makes others happy? Friends say I have a good sense of humor that makes them happy. 2. What gives meaning to your life? Trying to lead a Godly life gives meaning to my life. 3. What did you want to be when you were 11 years old? 4. If didn't make it happen, why not? Dad was against the idea. 5. Is there anything that you would avoid in your kitchen? Doing dishes ...... it makes me sick. 6. Which one would you prefer - a trip to the mountains or islands? A trip to the mountains. I love heights. 7. If you were given a chance to change something in your life, what would it be? I will change myself for the better. 8. Which brings more joy to your heart - cooking or cleaning? 9. What is your idea of a good movie? 10. While traveling by train, would you prefer to sit facing forward or backward. Why? I haven't traveled much by train, but I think it will be facing forward. 11. Is blogging a necessity or pass-time for you? It is a necessity to keep me as lively as possible. Thanks Viji for the award Aloo Paratha - feast your guru. Check her blog to know more about her events. Thank you Mommie for this wonderful recipe. Priya ..... "you made my day." I am so thrilled. I am very new to blogging world. Started it mainly to find friends who are passionate about cooking. Hope to find many more friends as I go by. Have a look at Priya Satheesh's recipe blog for her healthy recipes.